“I’d be very bored with myself if I didn’t get to occasionally do some acting. 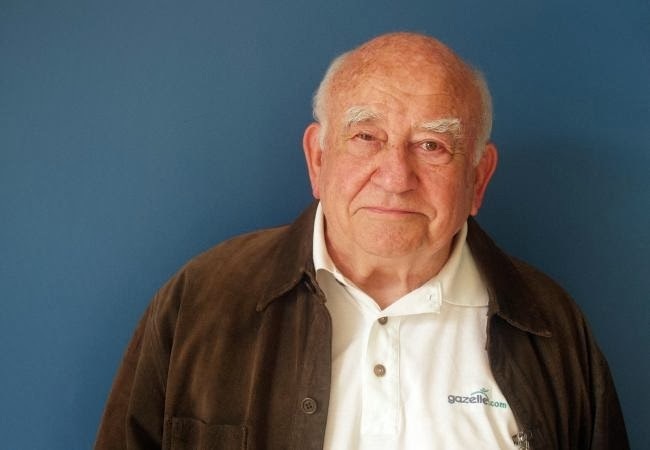 And I’m not good for anything else; if I’m not good for anything else then they might as well put me in the box,” says the legendary actor Ed Asner during a recent interview with Consciousness Magazine. At the age of 83 and being full of integrity and enthusiasm, the successful actor continues to work and build an impressive everlasting catalog, leaving a significant impression in the film and television industry unlike any other entertainer in history. Asner is currently touring the country in a one man show called FDR where he plays the 32nd President of the United States, Franklin D. Roosevelt. “I was asked if I’d like to do it as a reading, so I said ‘sure’. It went over okay. I was later told that maybe we can take this out on the road, as a one man show. So I said ‘we’ll try it’. I wanted to see what it was like to do a one man show. So we did that. And it worked. Years later, we’re still doing it,” excited expresses Asner who is also starring on Broadway (where he initially debuted in 1960) in the play Grace, opposite Paul Rudd and Michael Shannon. When it comes to giving back, the veteran actor has financially supported progressive organizations such as Democracy for America, Moveon.org, and Progressive Majority and assisted in funding Michael Moore’s first feature documentary, “Roger & Me” in 1989. Some people in life tend to retire in their late 50’s and 60’s and some are blessed to fulfill and succeed some of their goals and dreams; regrettable, many do not. At a vibrant and riveting age, Asner speaks about some of the things he hasn’t accomplished or done yet that he would love to do. “Well I have to win a Tony. I’ve got to win an Oscar. I’ve got to be honored at the Kennedy Center and I just haven’t met the 18 year old girl who is willing to be my wife,” sincerely expresses Asner as he laughs with profuse happiness.